Hey there! 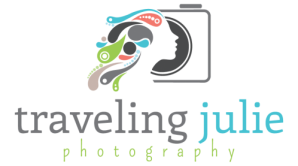 So glad you'll be joining me at Traveling Julie Photography. Right away you'll receive a free Guide to Getting Control of your Digital Photos. Then you'll receive occasional emails about promotions and special offers for Portland-area photography. Your email address and personal information will NEVER be shared.